‘Tis the season for cocktails! This Rose & Hibiscus Cocktail will become your go to beverage for the the end of year celebrations and so much more! Now, don’t think of me as a total lush when I say ’tis the season for cocktails! I swear on a bottle of champagne that I only have about 2-3 drinks a month,e ben during the holidays because personally, I enjoy my calorie intake more when it’s delicious food! But when I do indulge, it’s normally sweet cocktails, dry riesling wines, bubbly prosecco, and floral notes. 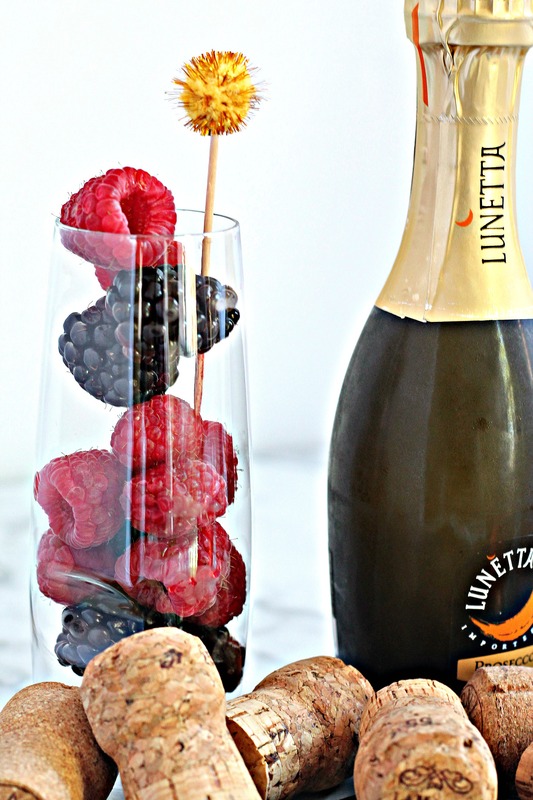 Even better, when those cocktails are paired with fun decorations, fresh berries, and fun times! This Rose & Hibiscus New Year’s Eve Cocktail paired perfectly with this new women owned business called Little Miss Party. Seri Kertzner and Michelle Bachman created LMP as a go-to source for when you need the perfect items for a party. A chic collection of party goods shipped directly to your doorstep, the LMP boxes are more than party goods – they are pure inspiration! And inspiration is where this recipe idea for a Rose & Hibiscus Cocktail comes from – I wanted to create a colorful cocktail that played off the gold, black, and silver color palette of the Little Miss New Year’s Eve box. The box includes: Black Chevron Wooden Cocktail Forks, Gold & White Stripe Straws, Tissue Decorations, Pop Fizz Click Balloons, Cocktail Napkins, Cocktail Coasters, Fancy Paper Party Plates, Govino Shatterproof Flutes, Gold Glitz Pom Pom Picks, Sparkle Party Hats, Confetti Poppers, 2015 Sparklers, NYE Photo Props – basically EVERYTHING you need except the booze! Along with the LMP box, I searched through my kitchen looking for ingredients to base this recipe on. 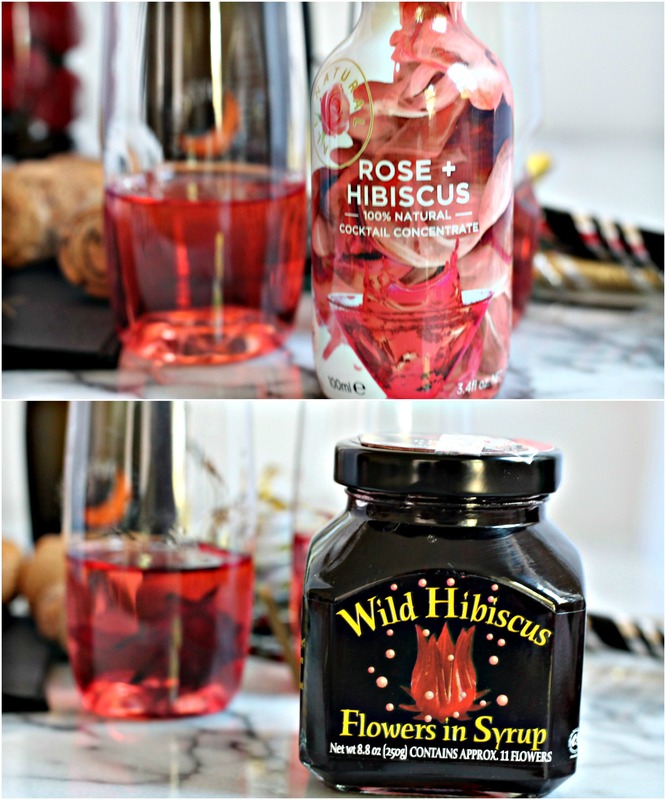 Inspired by the new Rose + Hibiscus Cocktail Concentrate by Wild Hibiscus Company, I quickly went to the local liquor store to stock up on my two favorite holiday drinks: a bottle of chilled rosé wine and a bottle of Italian prosecco. As you can see above, I flavored this cocktail with both the Rose + Hibiscus 100% Natural Cocktail Concentrate as well as the Wild Hibiscus Flowers in Syrup. A fantastic company that makes awesome products that are perfect for cocktails! The concentrate adds a floral note to this slightly sweet cocktail and the flowers in syrup just add a visual element that will impress your guests. So this holiday season, consider supporting these companies: Little Miss Party and Wild Hibiscus Company. They’re absolutely ideal for the holidays and you still have time to order a NYE box to decorate your party before 2015 arrives! 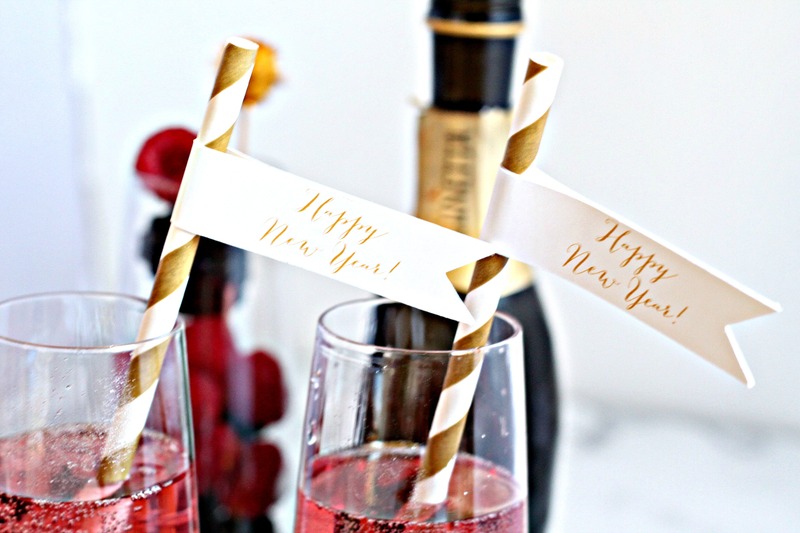 A simple cocktail that looks gorgeous against fun gold and black New Year's Eve decorations! This recipe serves 6-8 guests and cannot be made ahead due to the bubbly wine. Pour half a glass of rosé wine, stir in rose & hibiscus extract, and top with sparkling wine like prosecco. Serve immediately - cheers! Disclaimer: Samples of Little Miss Party as well as Wild Hibiscus Company were sent to me, but I was under no obligation to review them. I’m doing so because they’re fantastic products! Thank you for supporting brands that make it possible for me to bring you unique and fun content.